Tucked away on a quiet cul-de-sac, this Northeast area rancher just north of Patterson & 30 Road features a large kitchen opening to the dining room and a vaulted living area. It's MOVE IN READY with NEW CARPET in two bedrooms, new blinds, new paint, and a new master shower surround. ALL APPLIANCES STAY including the NEW WASHER/DRYER in the spacious laundry room with utility sink. And this home is in great condition—an inspection report from 2017 is available and the seller has corrected any needed repairs. 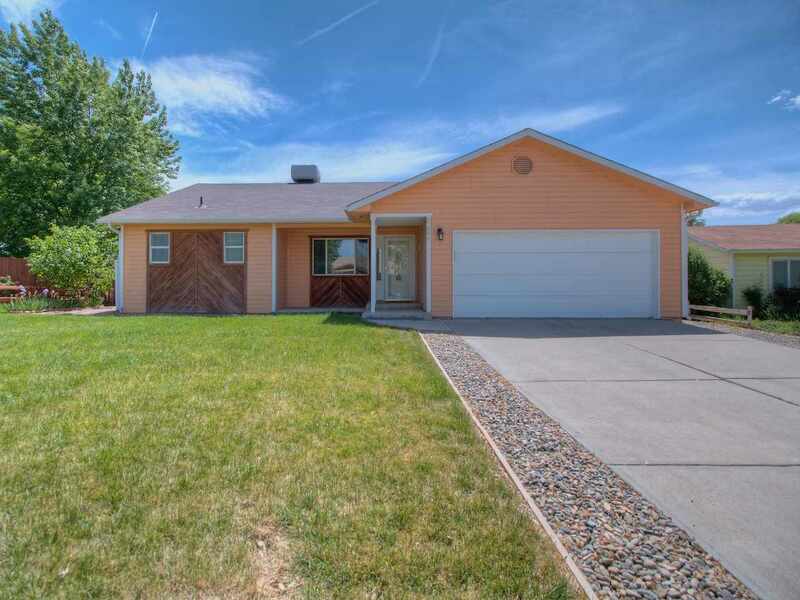 All you need to do is enjoy the open living space and the lush, green front and back yards. There's a BreezAir evap cooler, shed and smaller RV parking. This one is IMMACULATE! Directions: From Patterson, North On 30 Road To F ½ Road, Then West To Pinewood Ct, 3rd Street On Left.